Three processors in one! 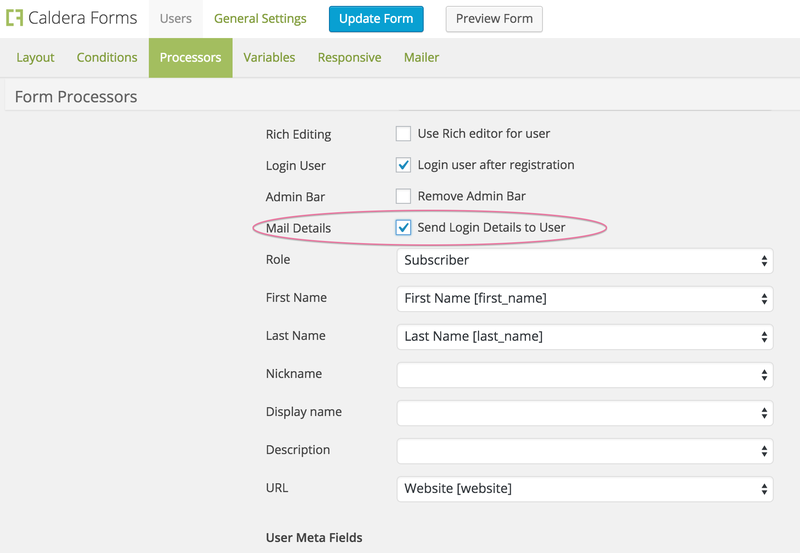 User login, registration and profile editing, all integrated into your Caldera Form. Along with one of the Caldera Forms payment processors, you have everything you need to create a single page shopping cart. 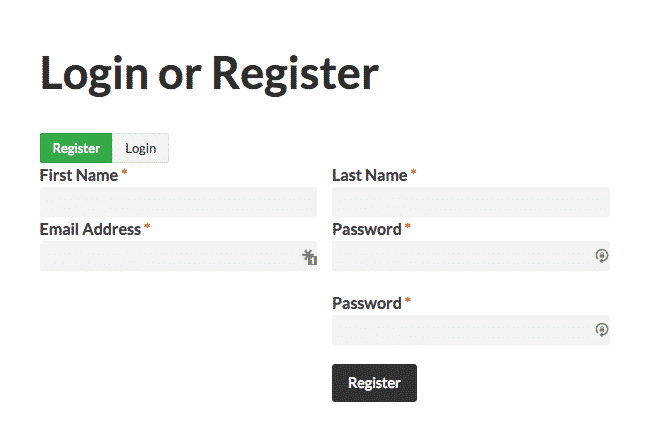 Are you building a WordPress site that that requires user registration? If so, Caldera Forms makes the process of registering and collecting user info easy and convenient. 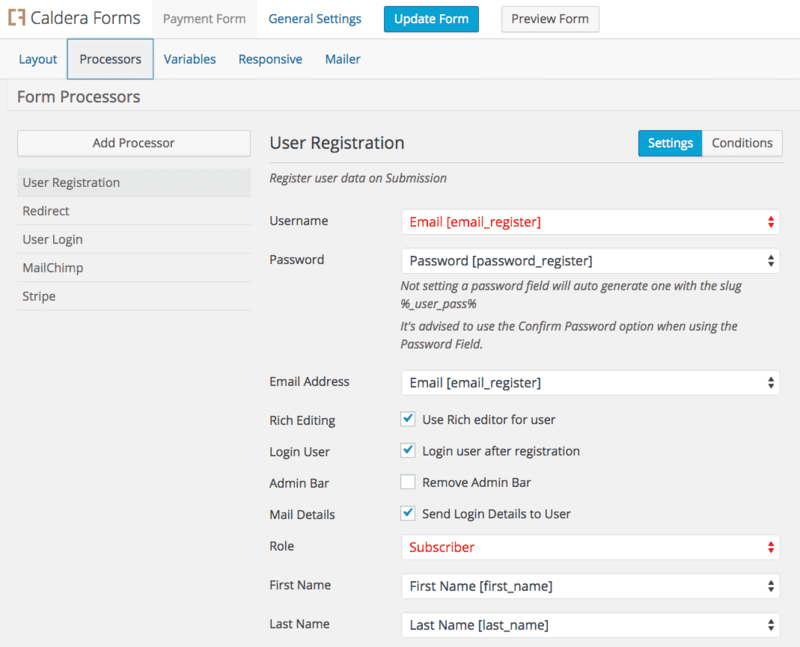 Caldera Forms has three processors, all of which allow users to use their email address as their official username. 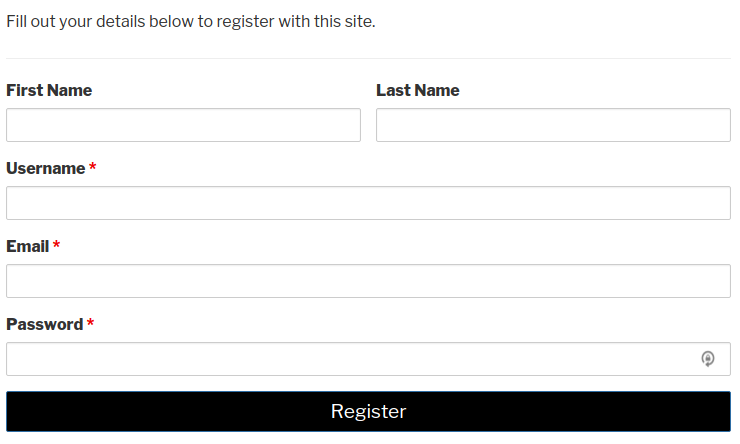 The user registration and update processors also allow you to set user profile and user meta fields during the registration process. 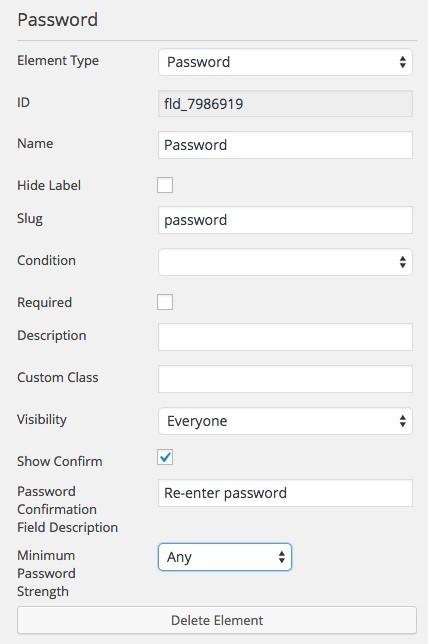 Learn how to use Caldera Forms Users here.